There are few figures in the UK music scene who better encapsulate the exciting dynamic shifts of the last decade than MistaJam. Voted 2016 Broadcaster of the Year by The Radio Academy, MistaJam is a true taste-making curator representing a huge spectrum of cutting-edge music styles within the leading lights ofcontemporary radio. With an unrelenting work rate, natural broadcasting and DJing talent, he has rapidly ascended to the top of the game. Currently broadcasting for the BBC (Monday - Thursday 7-9PM on Radio1 and Saturday 7-10 PM on Radio 1 and 1Xtra simulcast), MistaJam is arguably the country’s biggest force in helping to shape the increasingly blurred musical landscape that overlaps pop, indie, urban and electronic styles. Whether it’s grime, garage, Indie, hip-hop, R&B, drum & bass, house, reggae, dancehall, nu-soul, afro beats or an emerging sub-genre, he represents the breadth of UK musical cultures, landscapes as well as the best music from the around the world. He’s been enlisted by leading brands like Sonos, Jaguar F-Type and Samsung to front and devise campaigns for their products. After beginning his time in show business on stage, he also hit the screen to present and consult on acclaimed BBC Two youth culture show ‘No Hats No Trainers’ and to host Channel 4’s‘Future Sounds’. 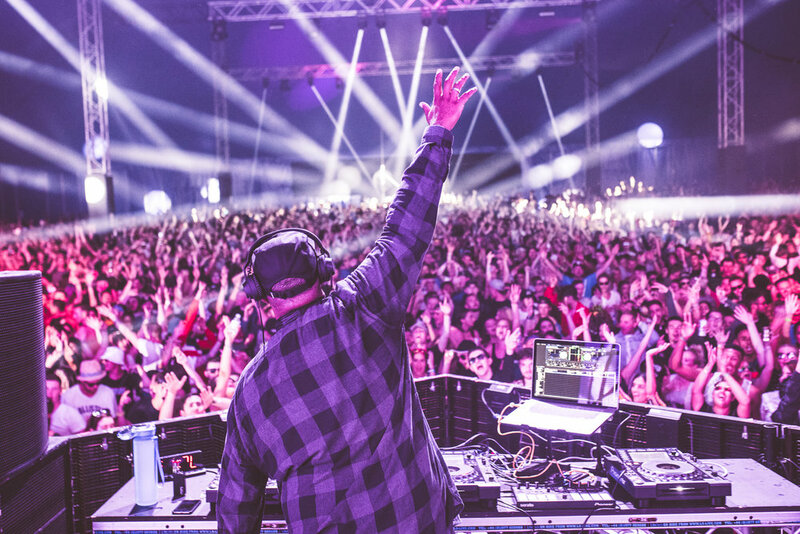 After a successful run of his Speakerbox club nights and festival stages and touring the world he’s set to return with his brand new JamPacked parties which will tour the UK – promising high levels of hot new talent and established heavyweights on the bill. “I want to be the very best that I can be with what I do and keep getting better so I can continue to do what I do for a very long time!” he says of his future in the game. It’s hard to see much room for improvement, but you can be sure he means it when he says he’s in this for the long run. And if his track record is anything to go by, it’s likely that he’s going to crush every new goal he sets his mind to.